Archive photographs from National Library of Wales, Aberystwyth. 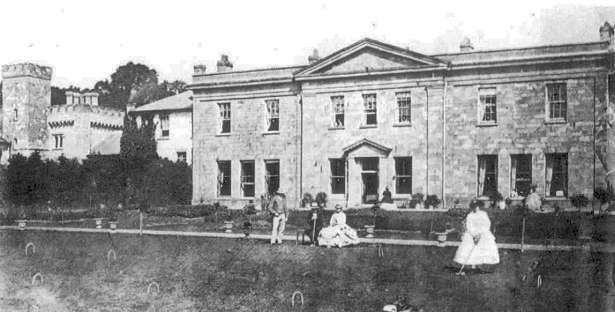 In 1911, the Duff-Gordon family inherited the Harpton Estate, situated between Old Radnor and New Radnor. 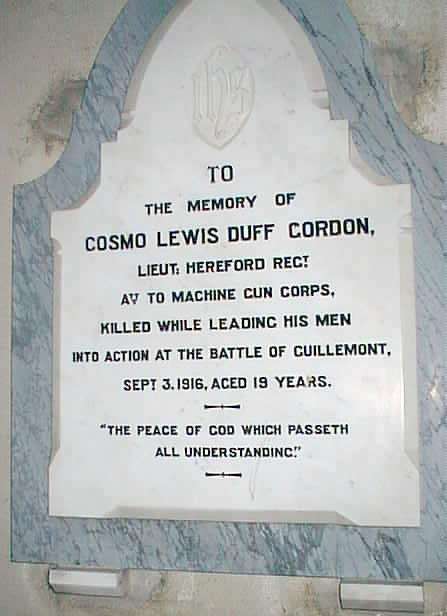 The head of the family was Sir Henry Duff-Gordon whose son was named Cosmo. 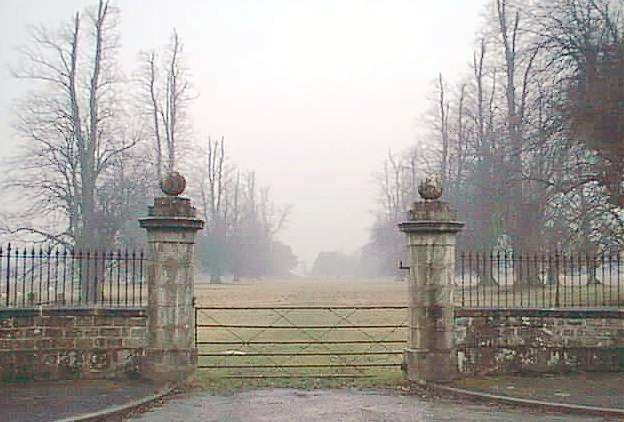 were demolished some years ago (see update) but the imposing gateposts remain. 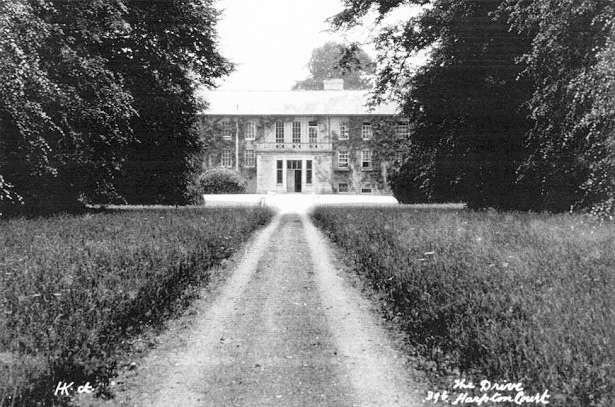 Below: The original view along the main drive before the demolition of Harpton Court. 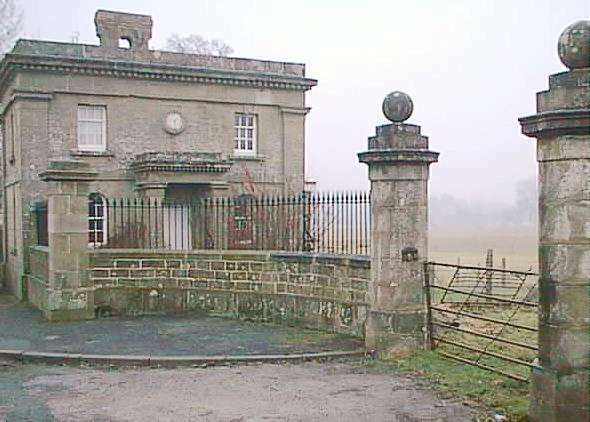 Above: The lodge or gatehouse at Harpton Court, as it is now, in 1998. Below: The lodge as it was. Note the eagles mounted on the gateposts (see update). 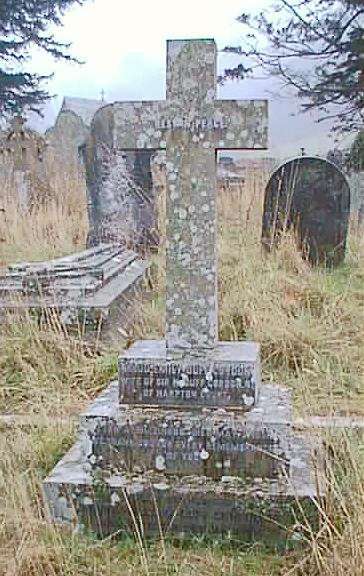 churchyard of St Stephen's, Old Radnor. 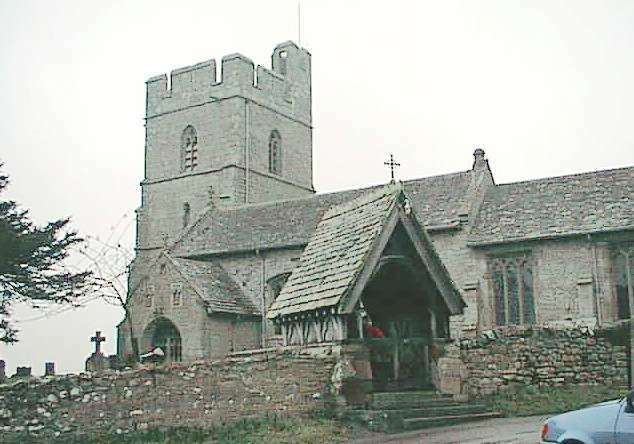 Above: St Stephen's Parish Church, Old Radnor. 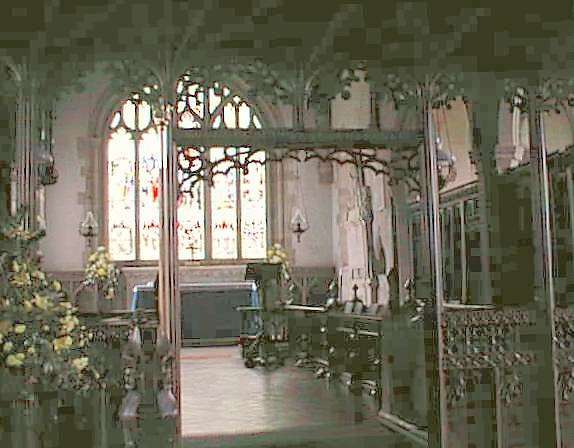 Above: Inside St Stephen's Church. 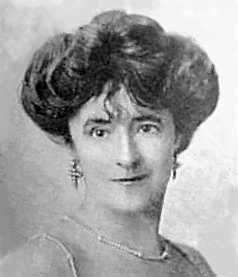 In 1912, Sir Cosmo Duff-Gordon and his wife Lucy were passengers on the ill-fated maiden voyage of the Titanic. Luckily, they both managed to find space on a lifeboat and were saved. Sir Cosmo and Lady Duff-Gordon were featured in the 1990s movie "Titanic". War. He was 19 years old. "Harpton Court wasn't demolished. The wing shown centre in your picture was taken down and the stone reused in the building of the National Library of Wales. The rest is still occupied. 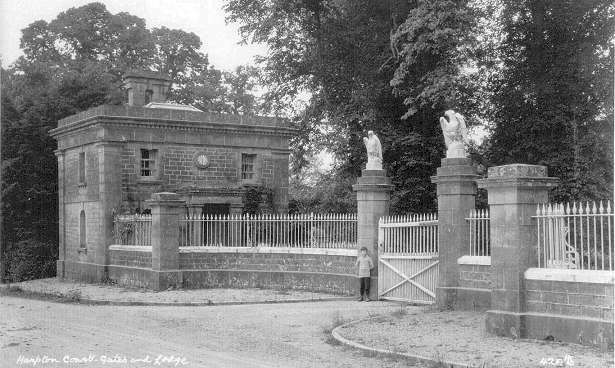 The eagles on the sides of the gatehouse entrance went towards the end of the Second World War. American troops, encamped on the estate in the run up to D-Day, they took exception to the eagles as they resembled the Nazi eagle symbol." "Outstanding in its elegance, this ashlar faced house set in open countryside between New Radnor and Walton was recognised as the best of Radnorshire's neo-classical houses. The north elevation dated from 1750 whilst the south may have been the work of John Nash ca. 1805-1812 who replanned the interior for the long resident Lewises, one of the county's oldest families. The house was sold in 1953 and partially demolished in 1956. The north-west wing and the stable yard survive, together with a classical lodge, gatepillars, walls and railings at the former north driveway."